Our story starts in the first years of the 2000’s, in a faraway land situated in the northernmost edge of Europe. The country is called Finland, and it’s a cold place with very little sunlight in the winter months. The preferred colour of clothing for most people is black, and the type of music they enjoy to listen is either dark and melancholic, or intellectual and alienated. Or both at the same time. The feeling of rootlessness and alienation is pronounced in Helsinki, the capital where a big part of the population consists of people who moved in, or whose parents or grandparents moved in from the countryside, disconnecting them from their roots. Enter Finnish Bhangra. A style of music that is based on the most hard rocking type of festive party music that stems from the fertile land of Punjab, a place full of colour and life situated in Northern India. Played and sung by a bunch Finns who wanted to create a new kind of an expression, a new creole music for the modern nomad of the suburban concrete jungle. They take the Bhangra beats of Punjab, and combine them with lyrics based on their own lives in East Helsinki, written in their native Finnish language. In 2004, these guys form a bhangra band and call it Shava. 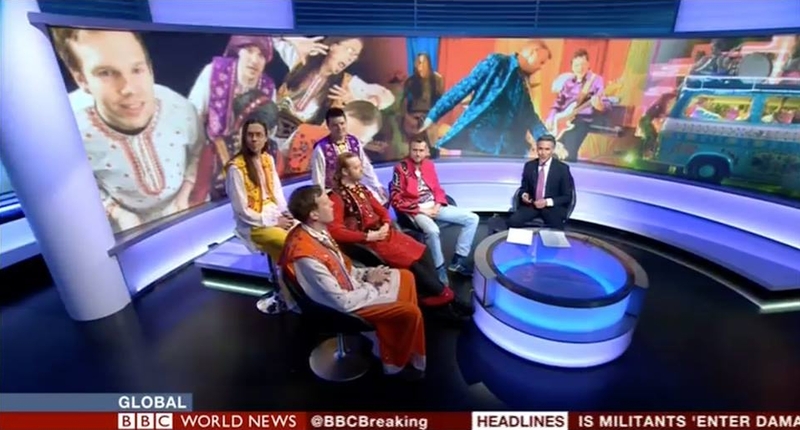 Being all whiter than sour cream in a snow storm, they don’t think they have any real credibility to get on the international Bhangra scene, and start off with the assumption of playing mostly to their local Helsinki audiences. They’re initially very surprised to be invited for a big Bhangra festival in Vancouver. ”The Indian audiences at the festival were screaming with excitement seeing white folks perform their music”, the lead singer and songwriter Kiureli Sammallahti recalls their first shows at the City Of Bhangra festival in 2009. Now, the band has 2 albums to its name and has played in 11 diferent countries, and is gaining more and more international media exposure for its unlikely but explosive combination of Finnish lyrics and Punjabi beats.